Thank you for purchasing the Faerie Hill of Aberfoyle Tour for your group of 1 to 3 people. Please check with ourselves before any payment is made to ensure that your chosen day has been set aside for you. All payments are taken in full in advance of the Tour date. Note that larger parties can be taken by special arrangement. 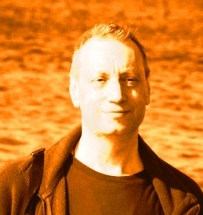 Stargate Edinburgh Tours generally operates a ‘no refund’ policy. 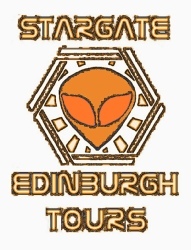 However, should Stargate Edinburgh Tours cancel any tour a full refund will be given or tour rebooked. entered into the diary and our letter/email of confirmation [your ticket and receipt] sent out to you. The Faerie Hill of Aberfoyle Tour generally operates on 1 saturday a month for three months during the summer BUT special arrangements can be made with Andrew Hennessey your Tour Operator for other times of the week and year if you contact him on the above email or landline first. Your events are entered into the Tours diary on a first come first served basis. The Faerie hill of Aberfoyle rendezvous is Sheriffhall Park and Ride (see google map below) at 1pm or by special arrangement from Edinburgh - please ask.